​It’s reimagining a crisis that tested a new nation’s strength. And it all begins with a shot in the dark.
. . . Shortell conjures a memorable heroine in Clara . . . suspenseful mystery . . . artful amalgam of historical scholarship and fictional drama . . . thrilling . . .
​. . . unusual and engrossing . . . mystery, assassination and political intrigue . . . Clara is a fascinating character . . . polished prose captures the tones and styles of the late 1800s perfectly . . .
... a suspense-filled fictional tale that chronicles the impact of a singular event...confident, meticulously researched, and superbly written... Shortell perfectly captures the language and atmosphere and ethos surrounding those momentous times... intriguing characters... a well-told, gripping tale of murder and its aftermath. ANN SHORTELL was born in Kingston, Ontario and raised on legends of her Celtic ancestors. In a previous century she was a business journalist and author — and won an award or two. 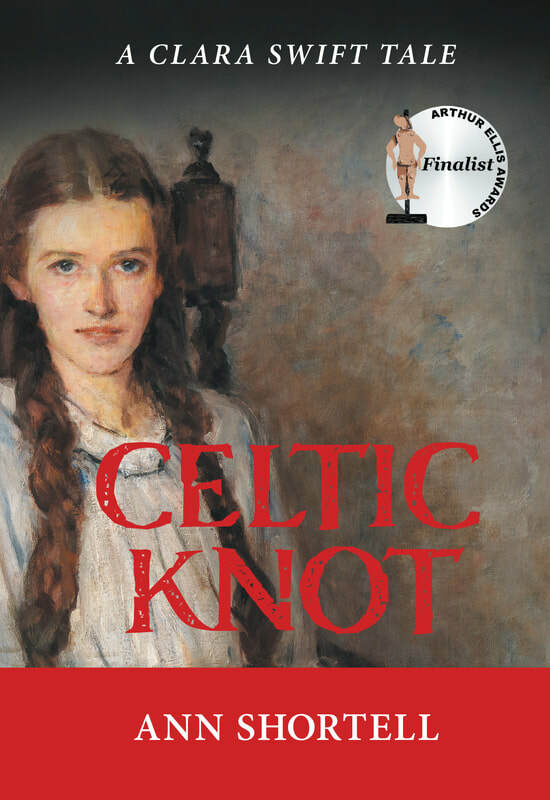 She wrote CELTIC KNOT in homage to the Irish storytelling tradition embodied by the late D’Arcy McGee. She thanks Crime Writers of Canada for choosing her debut novel as a finalist for the 2017 Unhanged Arthur Ellis Award for Best Unpublished Crime Manuscript. She lives in Toronto with her husband.